We constantly hear of the importance of leading a healthy life, especially nowadays with the increase of the number of couch potatoes and people just opting for some more time spent with electronics rather than exercising. However, when you are on with the all-time trend of rollerblading (also called inline skating), there’s always enough time for being out and about, exploring new sides of cities. Rollerblading is more than a hobby, it’s a way of life. 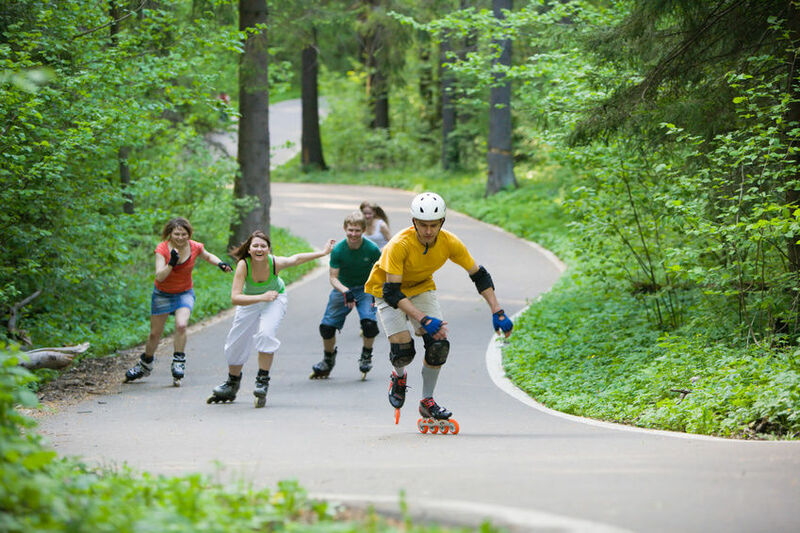 Not only are there health benefits of rollerblading as it’s good for keeping your health in optimum condition, but it’s also perfect for socialising and bonding with friends and family. If you haven’t yet become one of the passionate rollerbladers, let this article convince you otherwise and make rollerblading part of your lifestyle. You know what they say, Rome wasn’t built in a day; since only practice makes perfect, there’s a certain amount of falling involved so you have to be prepared for some bruises and scratches and buy full equipment, not just paying all the attention to your choice of skates. There are tricks and manoeuvres you’re going to wish to try out, and if you aren’t prepared safety-wise, you can be sure there’ll be countless injuries. Specialised skateshops have plenty to offer, starting from all the helmets, elbow, wrist and knee pads along with the different kinds of inline skates suitable for the needs of every rollerblader. The protection of your head being top priority, the helmet you choose has to be comfortable with cushioning, and make sure you pick one in a bright colour as it doesn’t absorb that much heat while still being more visible to other traffic participants when you’re making your way through the busy streets. Don’t be fooled into thinking it’s as easy as skating with vintage skates. You won’t find it easy to balance at first (kind of like when you’re first learning how to ride a bike) so it’s important not to underestimate getting lessons. Reliable skateshops nowadays give you the chance to borrow skates and try them out before buying your own. They can also get you into a learning group where you can learn all about the basics so you minimise injuries. Make use of technology and look up some helpful video online that can also prove to be useful in times of need. You have to remember once you’re out, you’re not a pedestrian so pavements aren’t exactly meant for rollerblading. Before you set out, check all of your equipment and test whether your brakes are functioning well. You’ll enjoy blading through cityscapes all the more when your safety is taken care of.